Growing up was fun and sometimes difficult because I couldn’t get away with much. There was no way I could insult a playmate without getting a scolding from a passing adult. There was no way I was going to see or hear an insult on TV or in a movie. There were fewer television programs back then. I still remember Aku Shika as one of my favourite Ghanaian movies. The movie producers made up for their poor equipment by producing educative, funny and generally better movies. The ever popular Sunday evening Osofo Dadzi was not popular because it was the ‘only’ show but because it remained innovative, comic and stayed true to its moral themes. This post was inspired by Intimations of Immortality from Recollections of Early Childhood and an observation made by Graham. Are we slowly descending into a Culture of Insults? I think we are! And I’m not even talking about politicians here. 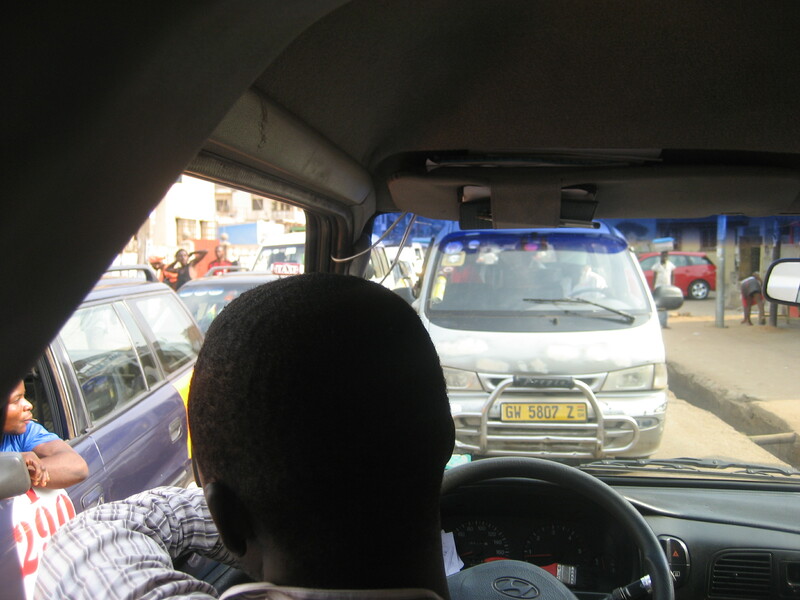 I’m talking about the many insults trotro drivers and taxi drivers hurl at each other and other road users. I am talking about the local Ghanaian language movies that sell for cheap and find their way into our homes and broadcast to our television sets. I am talking about all the insults we are taking in and likely to give back after they have festered and can’t be suppressed any longer. – How many times haven’t trotro drivers honked at and insulted private drivers who are waiting ahead of them at a traffic light? [moments before the light turns green]. – I can’t count the number of times I’ve heard a trotro driver insult a private driver or a pedestrian just for the sake of it; calling a private driver ‘a privileged *insert expletive*’ is so commonplace that some passengers in these buses laugh or throw in their insults for good measure. I can’t stand insults in Ghanaian movies, especially those that are meant to incite laughter . Why can’t Agya Koo, Judas and Kyewaa say or do something funny or say something witty? – Casting my mind back to Kwaw Ansah’s Love Brewed in the African Pot, I wonder where all the smart people in the Ghanaian movie industry went. Can’t we simply produce a comic moment that will be as memorable as the closing scene of the #LBitAP any longer? Without resorting to insults? – Unless I’m wrong, everyone of these movies is supposed to carry a socio-cultural message. You can check their titles or watch how in the end the good always triumphs over the evil, how Ghanaian traditions are upheld and portrayed in all of its splendour. [the typical Ghanaian storyline]. However, what the audience take from these movies are the many insults. The chain of insults can be heard playing on people’s cell phones and the latest of them are actually discussed. – You find adults laughing when they hear kids throwing these same insults around because they happen to be quoting Agya Koo or Kyewaa. (And before you think that you don’t fall in this category, remember that ‘this category’ happens to be the majority of the Ghanaian population). Don’t tolerate this creeping phenomenon. Don’t let us stand by while Ghana descends into a culture of insults. Reproach a kid you see insulting another kid because that is the Ghanaian thing to do. And, remind an adult to watch his/her language [if the circumstances permit] because that is the Ghanaian thing to do. Just a trotro twist of things this Friday. A Rainy Friday in Accra means a muddy Friday! The rain is getting in the bus, the passengers by the windows are quickly shutting the windows. Suddenly one passenger makes a sound, drawing everyone’s attention…drops of water were collecting on the ceiling of the bus and dripping on her…wetting her by the drop. Before long drops have collected on all sagging parts of the ceiling. People are getting beat by the rain in a bus? Of all places to be beaten by the rain. Everyone is calling for the mate’s duster (trotro-speak) at this point. Just when I thought I was one of the few lucky ones, a drop landed on my hand. [wishing I was home x10]. It was literally raining in the trotro at this point…everyone was repositioning themselves to prevent getting wet. The rain had stopped by the time I got down. Lucky me!! Freedom from the heat (and odours)at last; welcome fresh, clean air. First, it was raining in the trotro and now I have to trudge mud all the way home. I don’t know why I haven’t written this loooonnng ago? Come to think of it I got the moxie to do this Trotro Drama blog after witnessing this incident. After queuing for what seemed like forever at the 37 station to catch a bus home and sitting through one of the worst traffic jams in this part of the Sahara, my ever wandering mind couldn’t resist coming up the next bad scenario to cap it all. —what if this bus starts overheating? or the clutch burned? —what if the engine died and the bus has to be pushed? All the above were possibilities if you’ve had some experience with trotros and the conditions were right; grinding bumper to bumper traffic tend to expose these weak vehicles. Thankfully non of these things happened, actually, my luck got better. I got a private show of sorts. Passenger: Mate! Mate! are we at Achimota yet? Mate: You pay only transportation, now you dey bed, why me I no sabey sleep some? I could hear the passenger’s mind ticking in contemplation of whether to get off at Lapaz or midway. There is not much of a story to this video; I took the shot from my perch in the bus and missed much of the action but I’m sure the video still captures the action fairly. A bus reversed into on-coming traffic, bumped into the bus I was on, the offending driver did a half-hearted apology to my driver and as in the video, his conductor(Ghana’s equivalent of a mate) got down to bark instructions to help his driver execute this dangerous maneuver. Needless to say, the driver got away with it and my friend/guide made me understand that ‘this is normal, no one wants to sit in a hold-up’. How is this picture for the Ghanaian equivalent? This driver simply decided to drive into the on-coming traffic because his lane was jammed. This time I had enough time to take out my camera(with an exaggerated gesture which drew comments/commendation from other passengers and triggered a barrage of insults aimed at the driver). Am I so unlucky to find myself in these life-threatening traffic situations?